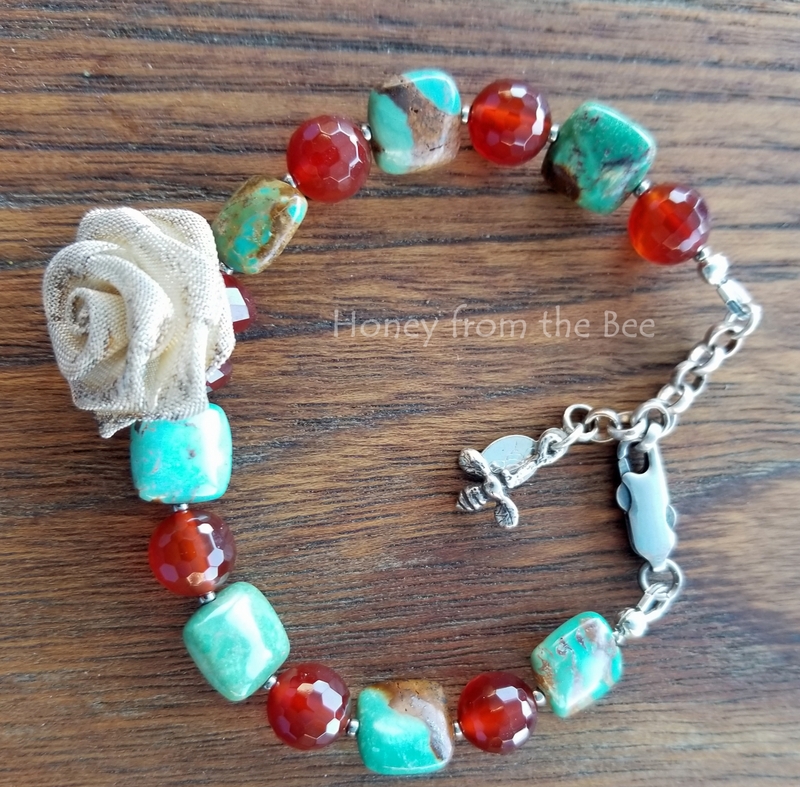 This casual turquoise and faceted carnelian bracelet with the colors of the southwest comes with a Victorian twist. 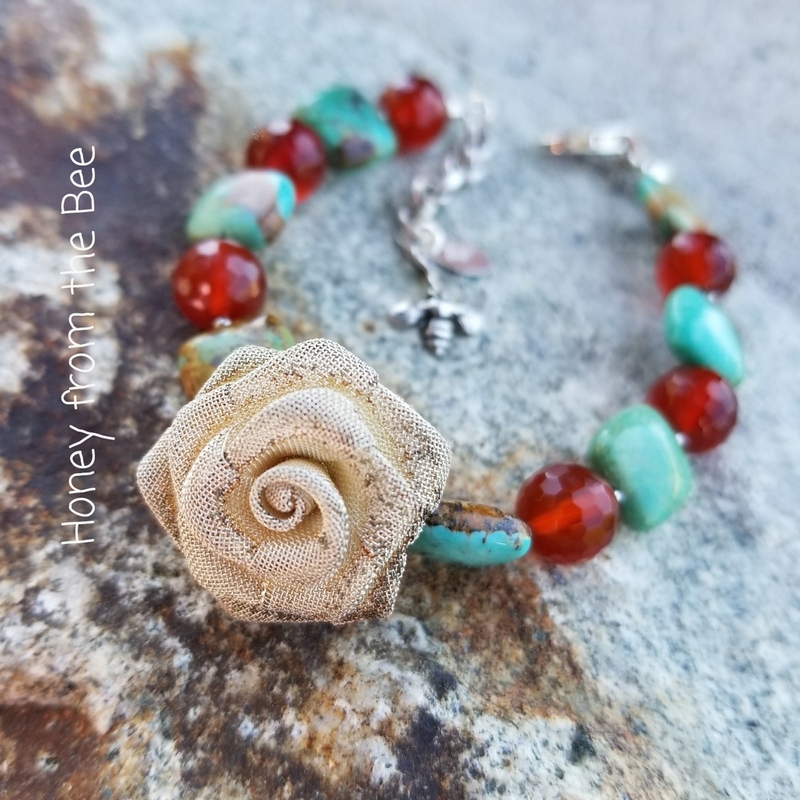 A tarnished silver mesh rose button sits just off center and a cute tiny bee dangles from the chain. I really like this sweet bracelet a lot. I think you will, too, whether you're wearing jeans or a pretty sundress. Sterling silver double-squeeze lobster clasp and chain. Adjustable from 6.25" to 7.25". That's my skinny wrist that you see in the 2nd photo. 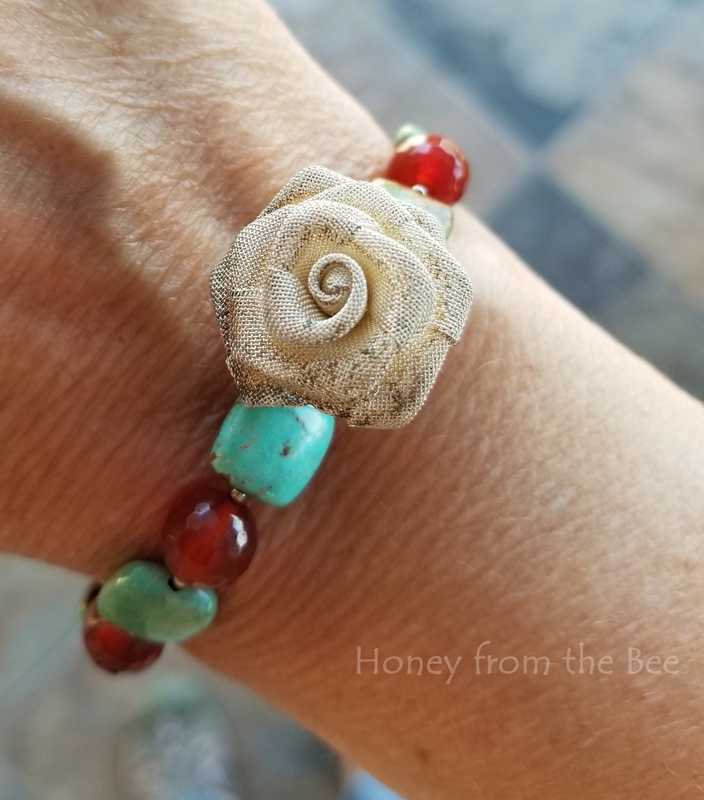 The rose is about 3/4 of an inch in diameter.